Gaines Clinton Davis, 89, resident of 2509 Old Calhoun Falls Rd. 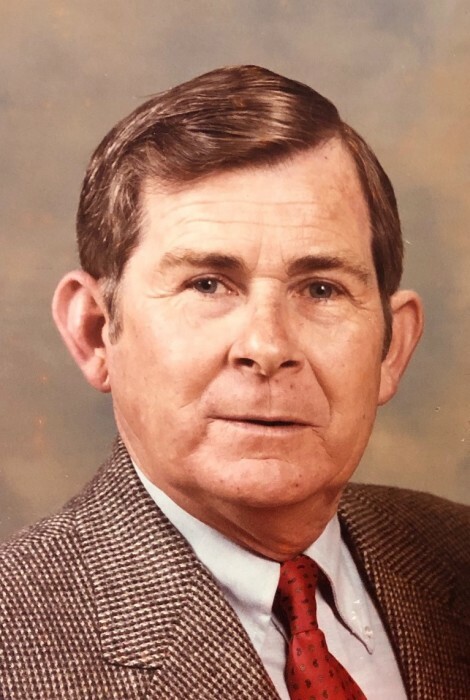 widower of Lucille Payton Davis passed away Wednesday March 20, 2019 at Self Regional Medical Center in Greenwood, SC. Born in Abbeville Co. SC he was a son of the late William Cape Davis and Macy Wright Davis. Gaines was a retired supervisor with Bigelow-Sanford Industries with over 35 years of service. He was very active in his community and was an instrumental part in the development of the Monterey Fire Dept. Gaines was an active member of the Warrenton Presbyterian Church where he was a Deacon and Elder Emeritus. He served for a number of years as the church treasurer and as a Sunday School teacher. Gaines was also active as a member of the Warrenton Presbyterian Church Cemetery Committee. He was a true southern gentleman and will be missed by all who knew him. Survivors include: a daughter Rita Davis Blue of Evans, Georgia; a son Edwin Miles Davis (Dee Ann) of Abbeville, SC; seven grandchildren Tammy D. Lewis, Kerri Lynne Davis, Christopher Kent Ryan, Kelly Ann Davis, Matthew Davis Ryan, Jonathan Ryan Davis and Ashley Marie Ryan; two great-grandchildren Kaleb Davis and Davis Sutherland; one great-great-grandchild Karson Brook Davis; a daughter-in-law Phyllis Davis. He was preceded in death by a son Skip Davis. Funeral services will be conducted Friday March 22, 2019 at 2:00 PM in Warrenton Presbyterian Church. The burial will follow in the church cemetery. The family will receive friends Friday afternoon from 12:00 until 1:30 PM at the church prior to services. The family is at the home 2509 Old Calhoun Falls Rd. Abbeville, SC. Memorials in memory of Gaines may be made to the Main St. United Methodist Church, Angel Tree Fund, PO Box 656 Abbeville, SC 29620 or to the School Box Fund of Main St. UMC, PO Box 656 Abbeville, SC 29620.